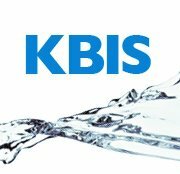 Last month, I posted a blog on this site Is KBIS Dead? and replied to my own question, “The show itself is far from dead.” However, I went on to point out the abysmal participation from major appliance manufacturers, and provided several comments from industry members. It’s very disappointing to see a comment like this from someone whom I both admire and respect. I’ve been in this industry many years, attended many trade shows and other industry meetings, served on committees, and even spoken at industry gatherings. I think I have a right, maybe an obligation, to report honestly and truthfully on what is happening in our industry and not to “keep it to myself”. All of us need to stay informed, and to discuss important industry events and issues. We need MORE comments and MORE debate not LESS to keep this business vibrant and healthy. Don’t keep it to yourself. Please feel free to comment below. This entry was posted in Appliances, Business, Management, Trade Shows and tagged appliance industry, appliances, KBIS, social media, trade publication. Bookmark the permalink. 1 Response to The KBIS debate – should it be censored? Love your article on KBIS and I whole heartly agree..lets not keep it to ourselves.